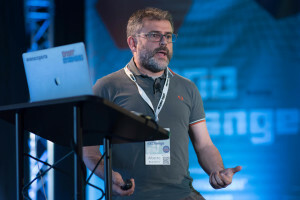 This event will be a panel discussion featuring founders of UK quantum computing startups and London based investors in the field of quantum computing, and will be followed by a catered networking event. We will be discussing the unique challenges involved in setting up a company in this industry and of assessing which companies currently present the best investment opportunities. - The experience of starting a quantum computing business. - The challenge of protecting the intellectual property of a quantum startup while sharing enough to be able to grow the business and share ideas/research with partners and the research community. - The areas of quantum computing are most attractive to investors in the short term. - The perceived risk/reward ratio of quantum computing technology and the expectations from investors regarding the time to achieve a return on their investment. - The challenges of investing in a technology which involves the use of quantum physics - a notoriously difficult science to understand for untrained business people. - The challenges of investing in a technology which, with the exception of quantum cryptography, is still quite immature. 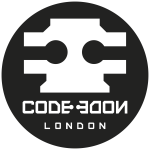 After the discussion we will be hosting a networking event from 8:15 until 10 in the CodeNode bar with hot food and drinks - generously funded by Microsoft. As turn out to these events is only around 50% the amount of food ordered will be estimated and so, although we aim to feed everyone, if numbers exceed expectations then food will be for the first X people to sign up on arrival - so arrive early (6:15) to sign up to avoid possible disappointment."